Have you ever thought of cookies as a natural travelling companion? 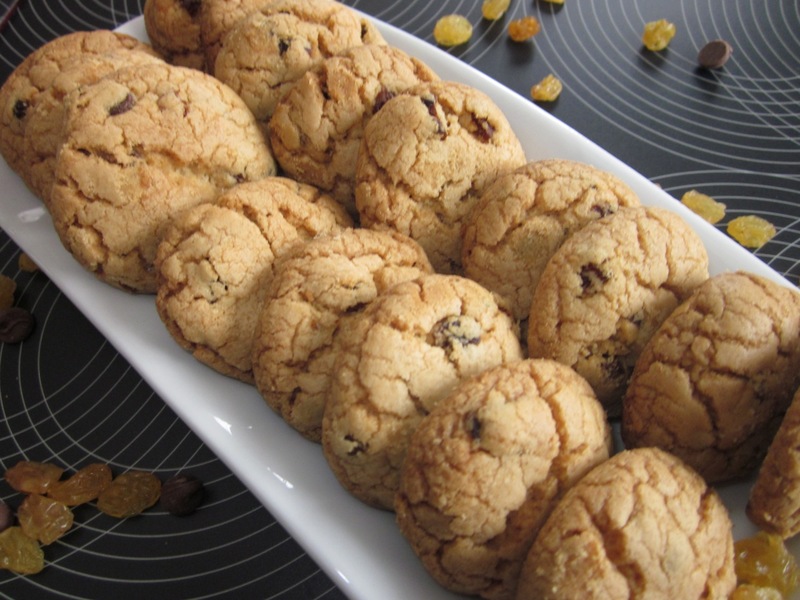 Cookies were the first travel companions in the 14-century because they stored well for several days. Cookies also remind me of the days we used to go on botanical field trips, in remote areas, with no signs of hotels or cafés. After spending long hours, in search of wild flora and fauna, in the heat of the sun, we settled down to a cool drink and cookies, spread with chunky peanut butter and a bar of chocolate to top it all off. Then the search for flora continued, for another three-to-four hours, before we called it a day and went back to the camping site, to dry the plants, overnight and prepare for the next gruelling day. 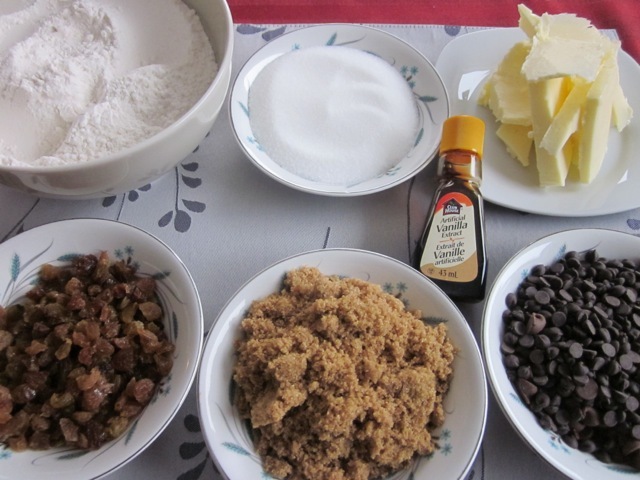 Today I’m going to share with you the recipe for Chocolate Chip Sultana Cookies, one of my favourites. This recipe is so easy to make but the result is very welcoming, you’ll make it over and over again. I hope you enjoy it. If you ever go out camping or hiking or anywhere in the wild, you will learn to appreciate cookies, the way I do. Beat butter, vanilla essence and sugars until fluffy. 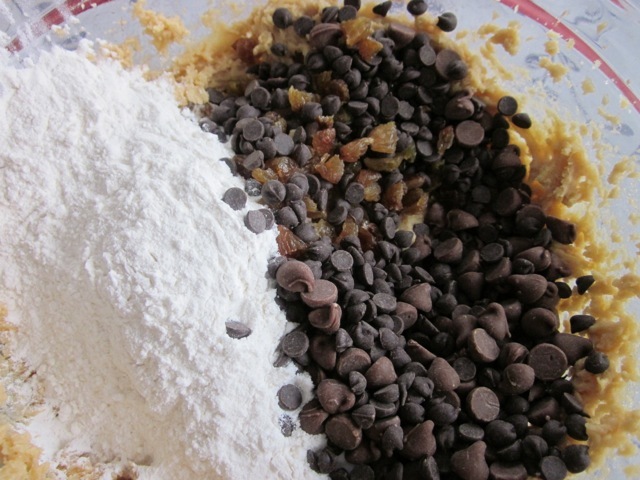 Stir in the sifted flour, chocolate chips and sultanas, until combined. Roll rounded teaspoons of mixture into balls. 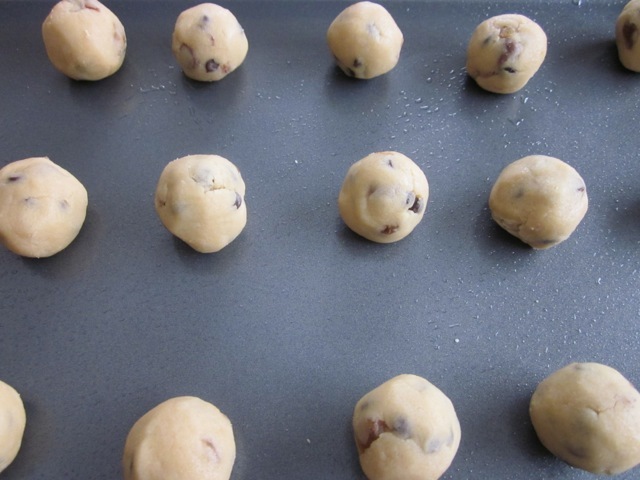 Place balls 3-4cm apart on a greased baking sheet. Bake about 20 minutes or until lightly browned. Sift the flour and baking powder. Set aside. Line baking sheets with parchment (greaseproof paper). Preheat the oven to 360°F (180°C) ten minutes before using. Beat butter, vanilla essence and sugars until fluffy. 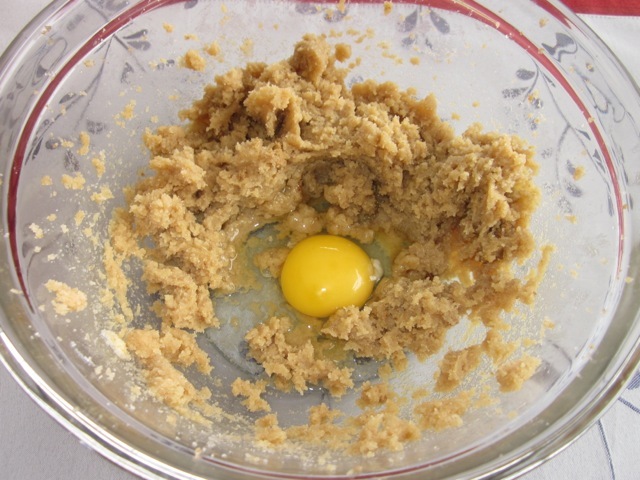 Add the egg, beat until fluffy. Roll rounded teaspoons of mixture into balls. Place balls 3-4cm apart on a greased baking sheet. Bake about 20 minutes or until lightly browned. Cool. Please note that oven temperatures are given as a guideline only. You may need to add or reduce the suggested temperature depending on your oven. I baked these cookies at 360°F (180°C) for 20 minutes. 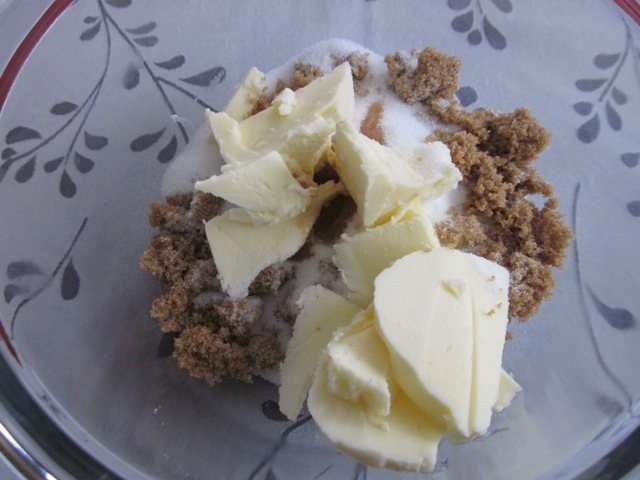 Brown sugar tends to form lumps, so be careful. and tastes yummy too, thanks for being here. Hope to see you again!!! You should try it. It tastes very nice, it’s chewy and with a chocolate crunch. I love macadamia, cranberries and white chocolate too, it tastes awesome but macadamia is very expensive here, so I don’t make it that often. Enjoy the cookies if you ever make them!!! Have a lovely week! Hi Liz! I’m glad that you found my blog, and glad that I found yours! Cookies are nice to have around at home and while away from home, as well. Many years ago, I always brought cookies along when we went fishing–they tasted SO good, and fishing really brought out my appetite! This recipe looks good, too. 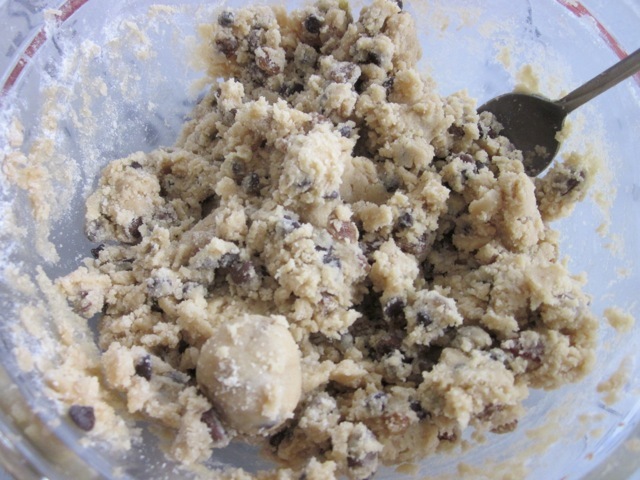 I never thought of adding raisins to chocolate chip cookies. I’m glad you came here too. 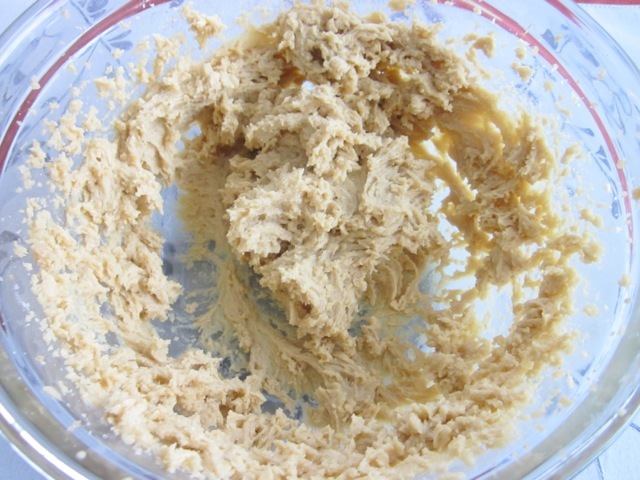 I love cookies, I always have a batch or two, right now I have some peanut butter cookies I made for the blog but haven’t posted yet. It seems you don’t go fishing anymore, I have never really gone fishing, I think it’s high time I gave it a go. 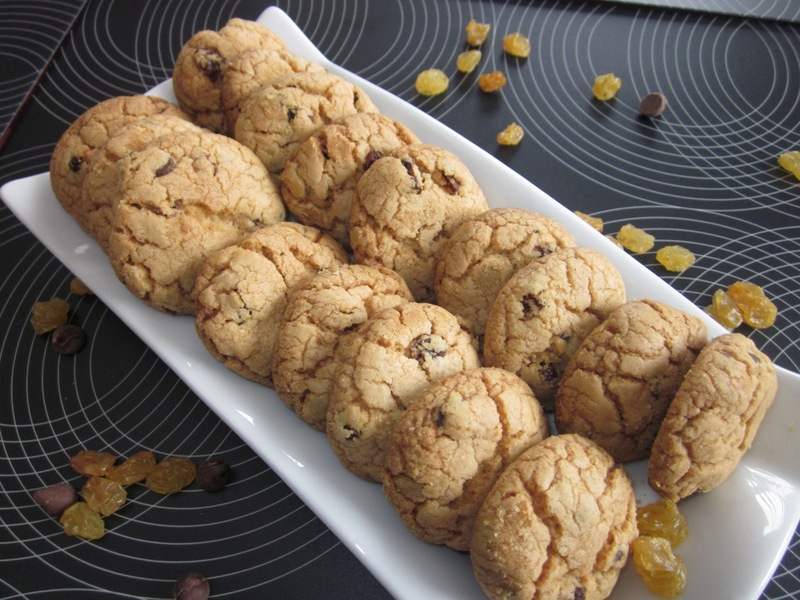 The sultanas give a chewy taste to the cookies, I love that. I used to buy the Cadbury’s Fruit and Nut Chocolate many years ago. It had nuts like macadamia and cashew, some sultanas embedded in the chocolate. Used to be one of my favourite treats. 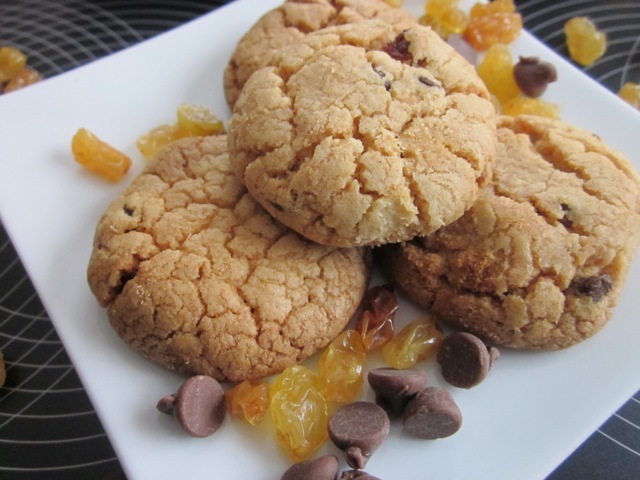 I remember that on the day I made these cookies and it prompted me to add sultanas. Thanks and have a lovely weekend!! Ha ha let me know if you do make them. And enjoy them. Thanks for stopping by!!!! Have a lovely weekend!!! Liz, your recipes are wonderful! Thanks you have great recipes too. Have a lovely week!!! And tastes delicious too. Thanks for stopping by. Have a lovely week! I really enjoyed this recipe. 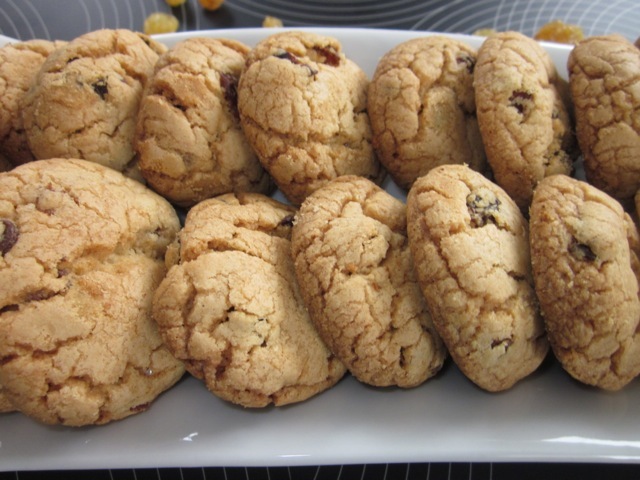 I usually love my plain old chocolate chip cookies, but the sultanas add a nice sweet-chewy taste to them. I love the chewiness of the Sultanas too! I crunched 20 of these last Friday. I felt really guilty afterwards!